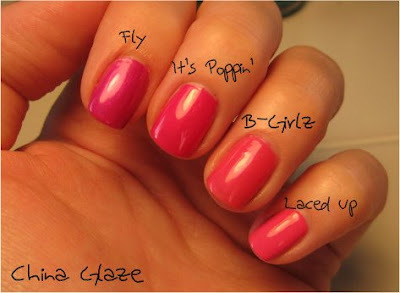 In addition to their Summer Days collection China Glaze also released the Kicks collection. 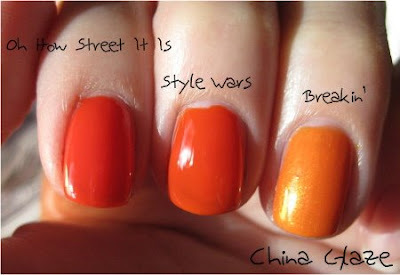 It is made up of 12 polishes, some are creme, some shimmer. I wasn't really impressed with this collection, six of the polishes are pink or are close to being pink. 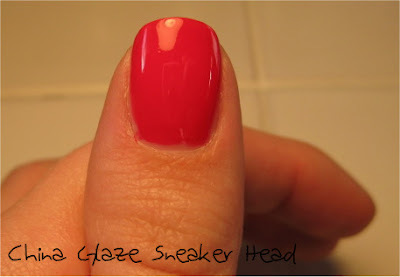 I feel like China Glaze could have done so much better or at least added a little more variety. I will give them credit for having two greens and a teal though. Over all this isn't my favorite collection from China Glaze but I really like their formula and brushes, I can't wait for their fall collection it looks like it has a pretty neat purple. I liked the way you presented these. The colors in this collection seemed so similar, it was confusing to me. I think I will get Breakin' and Custom Kicks. I don't understand the pinks they chose for this collection. It looks like they ran out of ideas. I haven't ordered anything from this collection. There are too many shades that are close to each other. I have an essence nail polish named groovy it's very familiar to the sky blue china glaze nail polish.